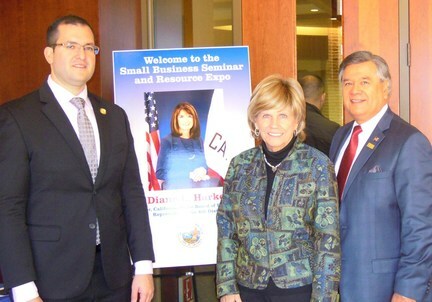 There was standing room only at the Chula Vista Small Business Tax Seminar hosted by the Honorable Diane L. Harkey, board member, fourth district, California State Board of Equalization, representing San Diego County in conjunction with the City of Chula Vista. SBA participated in this event providing a loan presentation and an exhibit table at the expo. 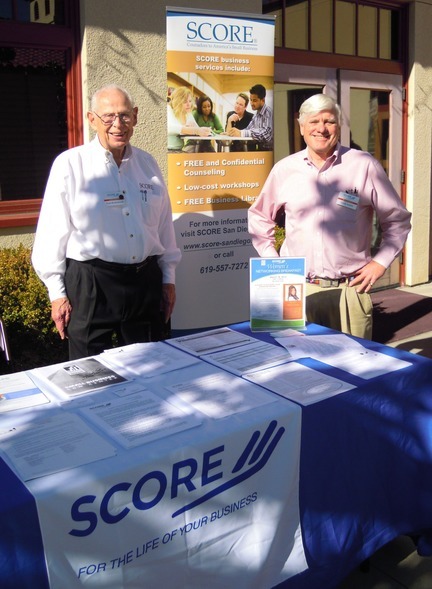 Above: Paul Hollenbach and Jason Smith, SCORE volunteers work a SCORE exhibit table at the Chula Vista Small Business Seminar and Resource Expo. 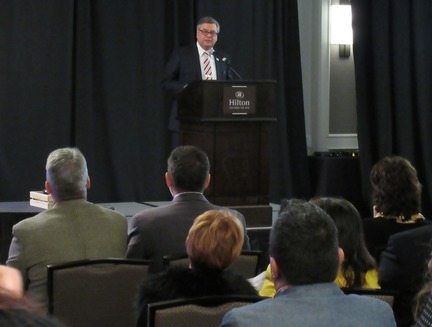 Above: Victor Castillo, director, San Diego Center for International Trade Development presenting at the "Your Roadmap to Exporting" workshop coordinated by the CITD in conjunction with the SBA San Diego district office. 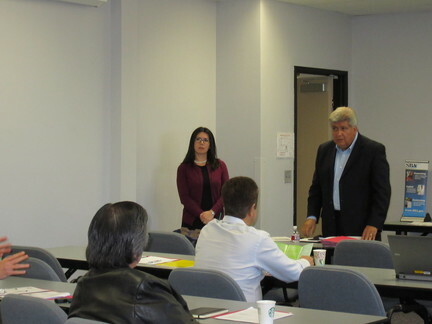 Above: Sandra Donzella, Senior Regional Director, Export-Import Bank of the U.S. - Western Region and Victor Castillo, director, San Diego Center for International Trade Development field questions from attendees. 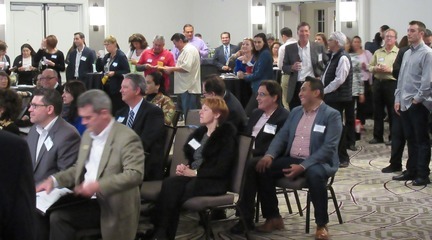 Above: Another full-house at the InBiz Latino Networking Event coordinated by Beatriz (‘BB’) Alexander, board director, North County Hispanic Chamber of Commerce/InBiz Latino. 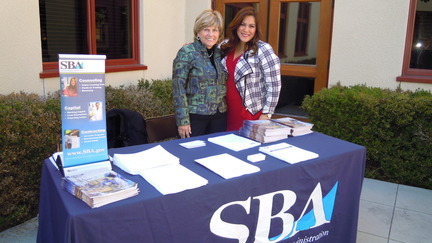 Above: Ruben Garcia, SBA district director, San Diego introduced the San Diego Latino Coalition and Levi Kinnard worked an exhibit table at the InBiz Latino event. The SDLC - San Diego Latino Coalition was founded in November 2014 by Inbiz Latino/ North County Hispanic Chamber of Commerce the San Diego County Hispanic Chamber of Commerce and the Hispanic Chamber of E-Commerce. Congratulations to Cassandra Curtis & Ari Raz, founders of Once Upon A Farm, who won a spot as a national finalist in the InnovateHer Competition. Click on the titles linked below to read each blog. Is Your Small Business Mobile Ready? Articles and linked information included in this newsletter are for informational purposes only and do not indicate an endorsement by SBA of the views, opinions, products or services of any person or entity. All SBA programs and services are extended to the public on a nondiscriminatory basis. Entrepreneurial training program for transitioning military. Webinars are being offered in English and in Spanish.